The dog you see above was harmed by a bad experience at a pet sitter. You can read more about his story here. It’s a useful warning to all dog owners of the dangers of choosing the wrong pet sitter. Pet sitters are just regular people who offer to look after your pet when you can’t, such as during holidays. They can be anything from people who like the company and a little extra cash to those who run it as a fully fledged business. They can also be people who live in your house and look after your pets at the same time. Dog sitting can be a good alternative to boarding kennels. Many people who visit dog boarding kennels are put off by the harshness of cement and wire runs, and the sheer size of some places. It’s so much more attractive to imagine your dog being able to live in a house with the company from other dogs and people. House sitters need to have previous experience with the species of animal they will care for. It’s a lot more than just looking after your house. Don’t Fret Pet ask you to fill in a questionnaire about your pet and agree to the terms and conditions. There is a space to ask for a preferred person but it seems like you take what you are offered. I liked the detailed questions about kids, other pets, walks, sleeping places, medical problems etc but I suspect all pet minders will ask these. I was then asked to pay a deposit so that a pet sitter could be chosen for me ($38.00 per day). I had to agree to indemnify them for claims arising as a result of the pet causing damage to property or people (third party damage). MadPaws, PawShake and PetCloud are all very similar. You can browse through a large list of Pet Sitter profiles, each with information supplied by the minder. There are also customer reviews but sadly they are currently either scarce or selective, making it hard to make an informed choice. Aussie House Sitters have a similar set up for people only looking for a house sitter. You then start up a conversation with a chosen few where hopefully the important information will be passed both ways. It’s much more informal but you do get to chat directly with the pet sitter. On some sites, you are asked if you also want to pay for dog walking (don’t they get walked anyway?) but a positive is that all three have public liability insurance and PawShake also has limited pet insurance. PetCloud has the option to ‘Post A Job’ and wait for responses instead of searching for a minder yourself. Other local services exist that are smaller and can be just as good or better. 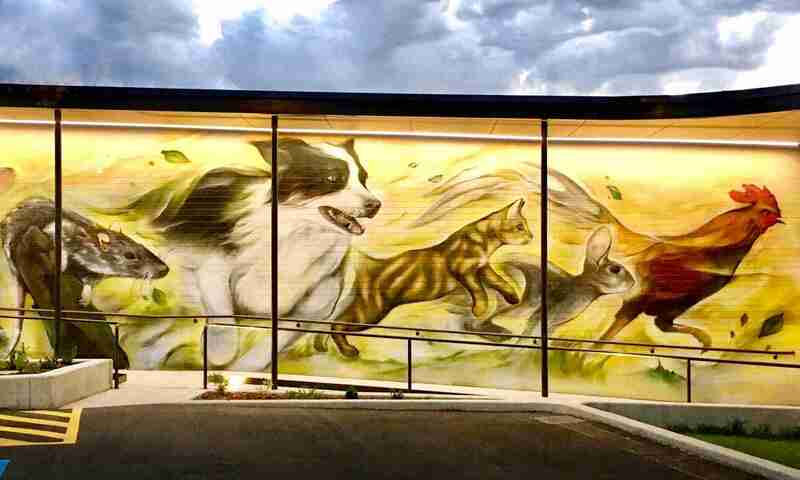 Two examples from our clients are Moving Paws and Wagging Tails Adelaide. It’s always worth checking the level of insurance of any pet sitter. However, no pet sitter seems to accept responsibility for death, injury, illness or loss of pets during their stay. Can I meet you and visit the premises beforehand? What is the maximum number of dogs you have at one time? Can you provide pick up or drop off services? There’s also a lot of information you should provide and a good indicator would be how much of it is asked of you. To see what is needed, search online for the “Mad Paws Information Sheet”. Pet sitting is probably a good way for animal lovers to make a little extra money doing something they love. You will need to have a police check but there does not appear to be any extra training or inspection required. Some groups offer additional online courses but it seems very easy to become a minder. Obviously, significant experience with animals, suitable housing, a compatible lifestyle and a mature, responsible attitude are all essential as a minimum. It’s also important that you are protected against unfortunate events either by legal waivers or with good insurance. In summary, if you have bad vibes for any reason, it’s safest not to leave your pet in the care of a stranger. Worse, if you aren’t even allowed to inspect where your dog will be, then under no circumstances use this place. Hi Andrew, your blogs are full of great information. Thank you! I am currently cat sitting and have been doing a lot lately. Now the word is out I’m quite busy this year! I’m not on a website, it’s been friends, friends of friends or work colleagues. I stay at the Owners house and try to follow their routine as much as possible. I’m meeting some lovely cats of all different breeds and getting to know different suburbs around Adelaide. After reading your Blog I was horrified at the condition some of the animals were returned in. I am not qualified, so to speak, but I grew up with animals and Mum has shown me the best way to care for them and the warning signs if they are not happy. I’m glad you recommend Beau’s Pet Hotel as I know someone who’s Boarded their cat there. I had a tour and it looks great and they keep the animals seperate. Thanks Alice. It’s always the minority that spoil it for everyone else. Keep up the good work!